"Something came from somewhere else and crashed onto Trafalgar Square." Joey Cale thought he was going home but instead has ended up on another version of Earth just as dangerous as the last. Aided by his friends, he must discover the cause of one of the greatest disasters Britain has seen. But a threat as old as time is pursuing him and will do anything to stop him. Who are the sinister Green Jackets? Why are the birds gathering and watching? And what is buried in a wall deep beneath London? 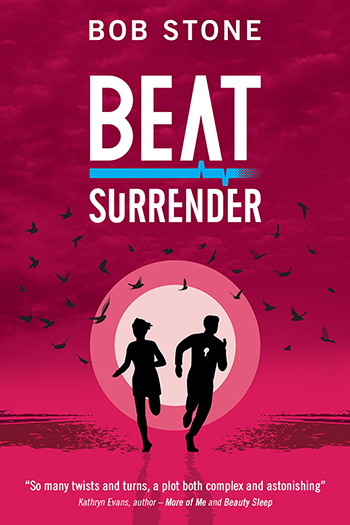 Beat Surrender is the second book in the heart-stopping trilogy which began with Missing Beat.